The ZOE XL1 Deluxe has been discontinued. The ZOE XL1 Deluxe earned an 8th place rank out of 19 strollers. This stroller earned a top score for ease of use with a giant canopy and additional child snack tray and cup holder. However, despite being easy to use and looking cool, this stroller is exceedingly difficult to push and turn. The wheels have significant rolling resistance and feel like they bind up when turning and can't rotate. The extra flex and frustration experienced while pushing the ZOE negate any of the awesomeness found in the features and ease of use. 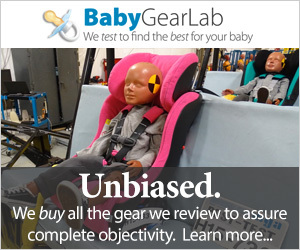 For a similar price, parent's can purchase the UPPAbaby G-Lite that has a higher score for maneuverability and quality, only scoring lower in ease of use. While ease of use is important, we believe being able to push and turn a stroller trumps whatever ease of use might bring to the table and feel it is a wiser choice to purchase the stroller that is easier to navigate. The ZOE XL1 DELUXE has been discontinued and replaced by the ZOE XL1 BEST v2 to which we now link. We are planning to review the new stroller in the near future, but in the meantime here are some of the changes that have been made. The XL1 BEST v2 is now $200 (a $50 increase) with larger front and back wheels, with the front wheels now being single instead of double. This will hopefully improve the maneuverability issues that we encountered during testing. The new model has a deeper seat recline and is also 1lb heavier. The ZOE has the highest ease of use score (thanks in part to this awesome canopy), but it was very difficult to push and turn, which resulted in a lower overall score. Founded in November 2015, the ZOE company has since been family owned and run. With two members sharing 60 years of juvenile product experience, the family set out to create high quality strollers without the expensive price tag. Their goal? to create an affordable stroller that included all the extras with nothing extra to buy. The company continues to sell out each product run with more orders on hold. The chart below offers a comparison of where each competing product ranked in comparison with the competition. The ZOE is shown in blue. The metric sections below include additional details on the scores earned for each metric and how the ZOE performed in our tests. The ZOE folds in half, unlike much of the umbrella competition that collapses in on itself; this creates a shorter but wider final product. The ZOE stroller scored a 7 of 10 earning an above average spot in the weight and folded size category. This stroller weighs 11.6 lbs and measures 6,573 cubic inches when folded. Only 2 strollers we tested weigh more than the ZOE, but the folded size is less impressive with 10 options folding smaller. Both the Inglesina Net and UPPAbaby G-Lite have similar weights, but smaller sizes. The ZOE tied for the easiest to use stroller, sharing the the high score of 8 of 10 with the Recaro EasyLife in the ease of use category. ZOE is the least expensive option with the Recaro retailing at $50 more. The fold handle for the ZOE is hidden under the seat bottom to keep little ones from accidentally pulling it. Folding the ZOE is a one-handed process with an automatic lock, but it doesn't self-stand. The fold is simple to accomplish by pulling a loop hidden under the seat, but the wheels need to be facing the right direction to complete the fold. Like most of the competition, the ZOE requires two hands to unfold. The double action brakes are easy to set and release,and require both pedals be pressed for full engagement. The pedals are extra large and tucked next to the wheels, but they are easy to access and sandal foot friendly. The pedals have a solid feel that help you feel confident they are properly set. The storage bin on the ZOE fit our medium size diaper bag (above left) and it has good access even with the seat reclined. It also features a small pocket on the back of the canopy with a velcro closure. This stroller comes with a belly bar that can be exchanged for snack and cup holders (above right). There is a parent cup holder on the side of the frame. The ZOE canopy is the largest in the group with low coverage consisting of 4 panels including a pop out visor and medium size window for spying on baby. The ZOE sunshade has 4 panels and is the largest canopy in the review. The fourth panel can be zipped away and the pop out visor can be tucked in our pulled out for additional coverage. This canopy covers past the knee and protects baby from low sun or headwinds. It also features a medium size mesh peek-a-boo window with magnetic closure. The ZOE harness is easy to adjust both in size and height. The ZOE Deluxe has a 5-point harness with shoulder padding. Rethreading consists of releasing the strap from the buckle, pulling it through the seat back fabric and place it through the desired height slot. The shoulder strap then slides up and down to adjust and the waist straps adjust with the push of a button. It is one of the easiest harnesses to use. The recline adjustment on the ZOE is not as smooth of an operation as it could be. The ZOE recline adjustment is not the smoothest operator and the seat back is more upright than not when fully reclined. It lacks a leg rest, much less an adjustable leg rest, making the seat less than ideal for comfortable napping. Alternatively, the Recaro EasyLife has a nice adjustment with a recline flat enough for napping. The ZOE is the hardest stroller to assemble. It took us over 9 minutes and there are no included instructions. While it does not require tools to assemble, you will need to go to the company website for a video tutorial to complete assembly. Thanks in part to flimsy plastic wheels and dual wheel design, the ZOE scored poorly for maneuverability with wheels that fail to rotate smoothly. The ZOE earned a 2 of 10 for maneuverability. This is the lowest score in the review and the main reason why this stroller did not score higher overall. This stroller is really hard to push and turn, no matter what the surface. While most of the competition struggled over uneven terrain, this stroller had difficulty on hard flat surfaces as well. Pushing the ZOE is hard, but turning is where things get really difficult with wheels that feel like they are binding up and refusing to rotate. Pushing, turning and hopping up curbs were all disappointing with too much flex and not enough responsiveness. The ZOE has front wheel suspension, a hard bottom seat and a single handlebar covered in foam. With the lack of all wheel suspension, and a seat with no leg rest and limited recline, the ZOE is likely not that comfortable for passengers. For quality the ZOE earned a 4 of 10. While the overall package looks rather nice and has a certain appeal, the devil in the details reveals some cheaper construction with flimsy wheels with excessive rolling resistance and significant flex where the components come together. The problem only gets worse with weight in the seat, and we think the maneuverability and comfort of this stroller could be improved with higher quality materials that provide higher performance.